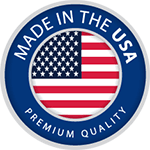 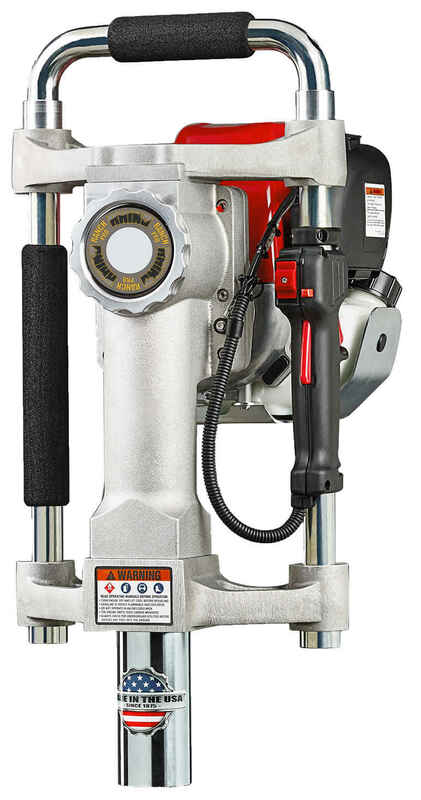 *Rhino Pro-Series Post drivers are OEM certified by Honda and carry Honda’s 2 year residential and 1 year commercial warranties. 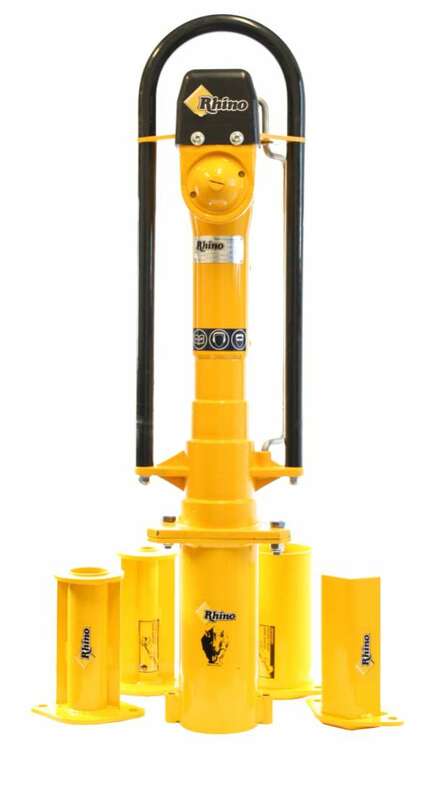 CP post driver deliver, whether it's in soft soil or rock-hard asphalt. 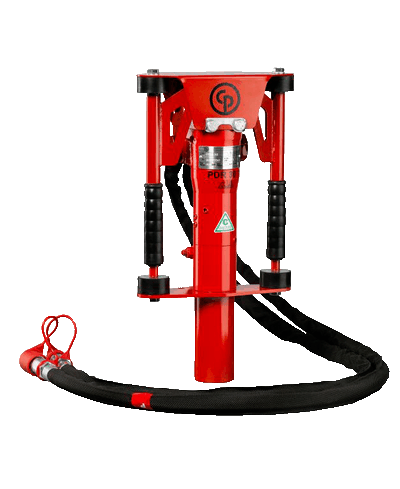 The sheer force of the blows is impressive, so you can drive down posts in record times with virtually no effort. 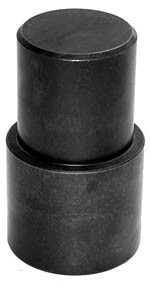 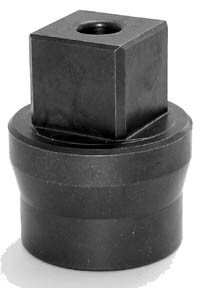 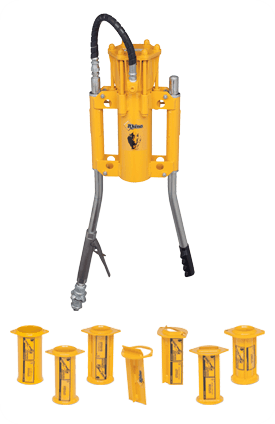 Round Posts up to 3-3⁄4"
Hydraulic Post Drivers for driving fence posts, t-posts, square sign posts. 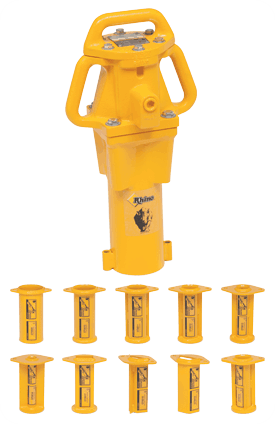 Used for driving-in road barrier tubes, Telespar® posts, profiles, square sign posts, fence posts, T-posts and a wide range of anchors. 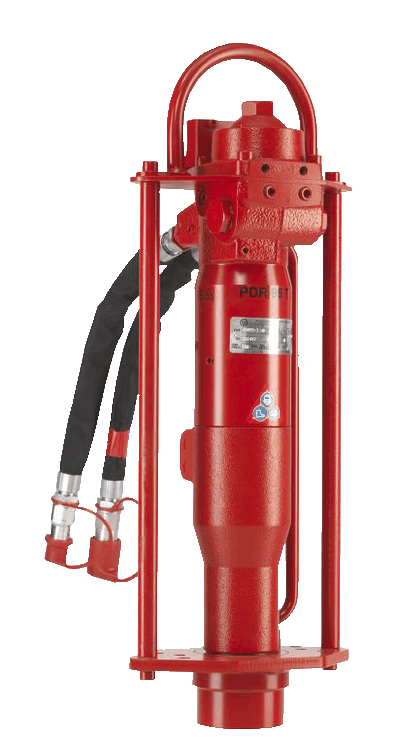 Our post drivers provide stable, powerful, high speed driving for a variety of post sizes. 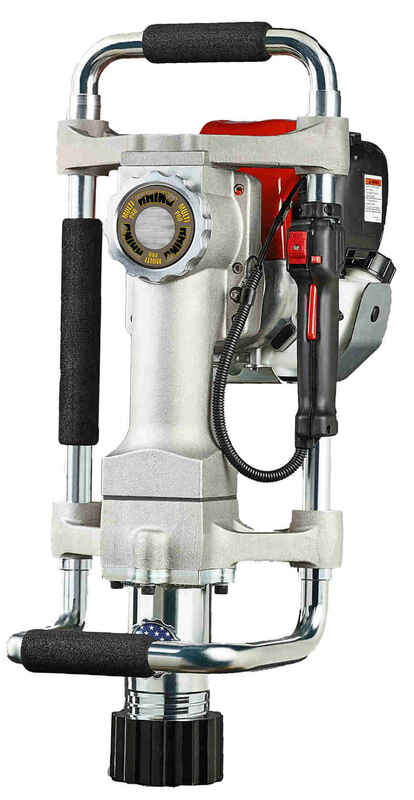 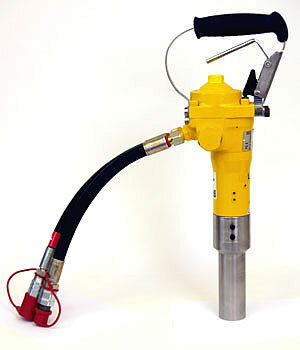 The KAPD-23 is the fastest and most reliable post driver on the market today. 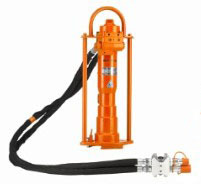 Now you can use your skid steer, backhoe, excavator or tractor to power your Post Driver. 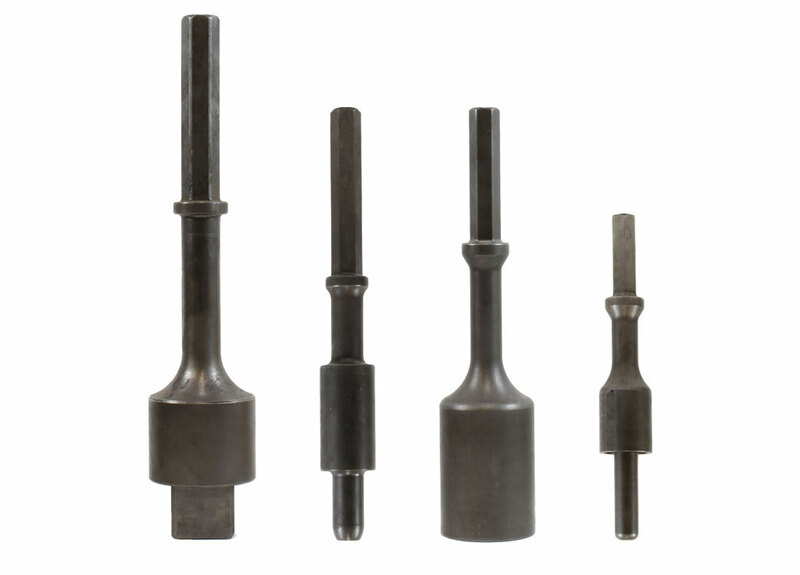 These tools are designed to work with high back pressure and represent a breakthrough in versatility. 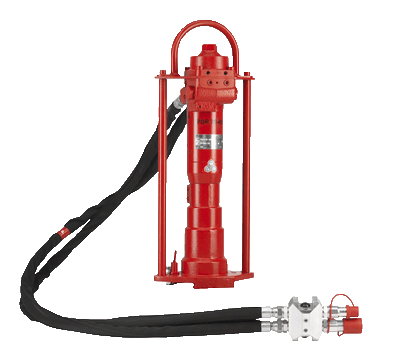 RV version has an on/off vavle mounted at the end of a 6.5 ft. long tail hose for remote operation on long poles. 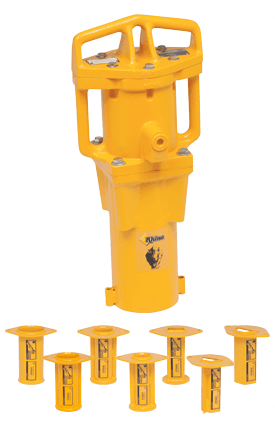 Rhino Post Drivers deliver up to 1700 blows per minute. 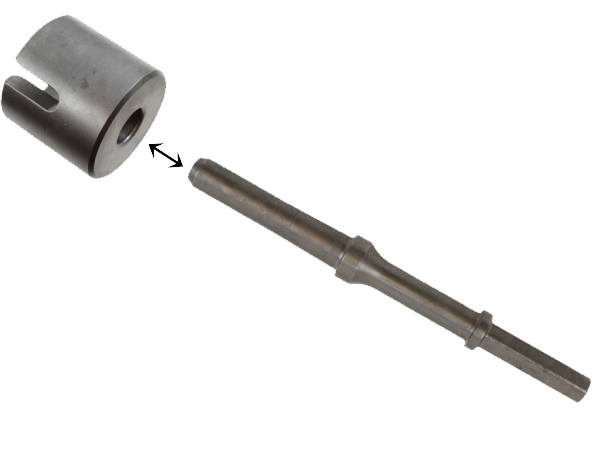 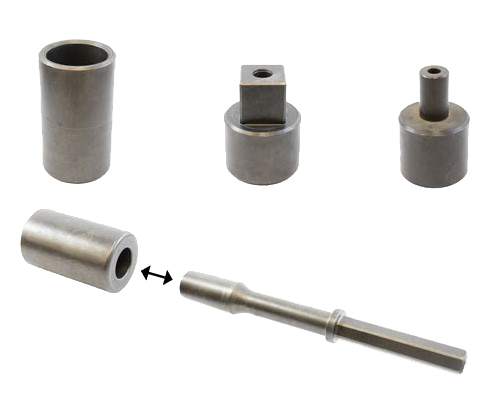 One moving part, a reciprocating piston, strikes directly on the Post or Drive Cap. 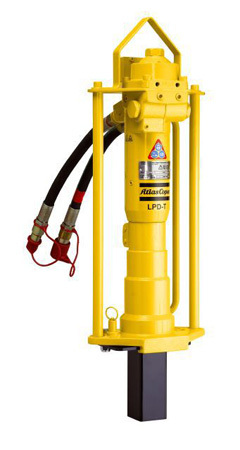 The Drivers have low air consumption rates, are light-weight and hand portable, ideal for driving in places that are hard to reach.